You’re in the business of making food. We can make it more profitable. The menu is one of the strongest marketing tools for any brand and a major contributor in driving profitability. 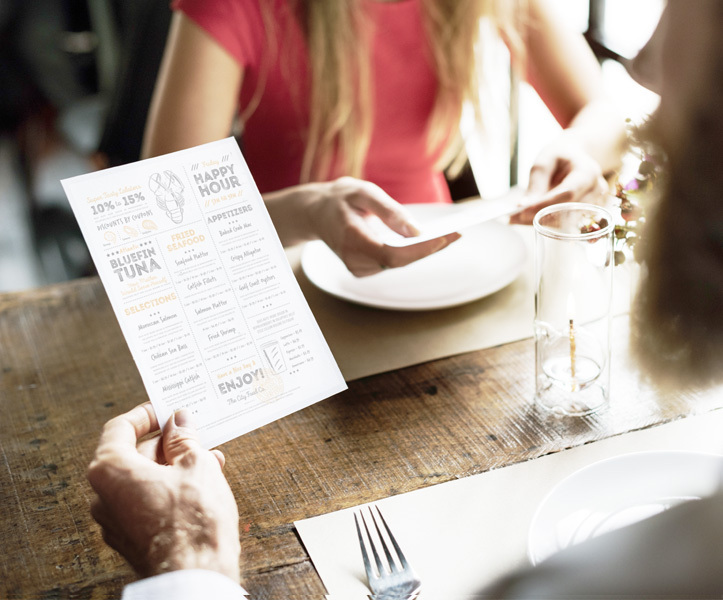 Restaurant menus often have catchy descriptions, gorgeous photos and an attractive layout, but lack a strategic design. Embed the key ingredient by adding POS Transactional Level Data and Machine Learning insights to the mix! By studying key performance metrics, we help you optimized your menu by understanding which items are best for your sweet spot and which items deserve less visibility.